On September 20th 2010, I felt sick. I was a 23 year old primary education student on a teaching placement in a classroom full of five-year-olds, so I assumed I’d caught something from one of them. Off to my GP I went for some blood tests to get a medical note to excuse me from placement. “Don’t panic”, said a friend, “You probably have the flu.” Ha. When my blood test results came back as abnormal, my GP, who had been my paediatrician since childhood, was both confused and slightly concerned, so sent me off to the hospital to have some further tests. After spending several months bouncing around a few different departments, I eventually ended up in nephrology. At this point, I didn’t know what nephrology even was, but I very quickly learned why I was there. Something was wrong with my kidneys. In fact, something was very wrong. 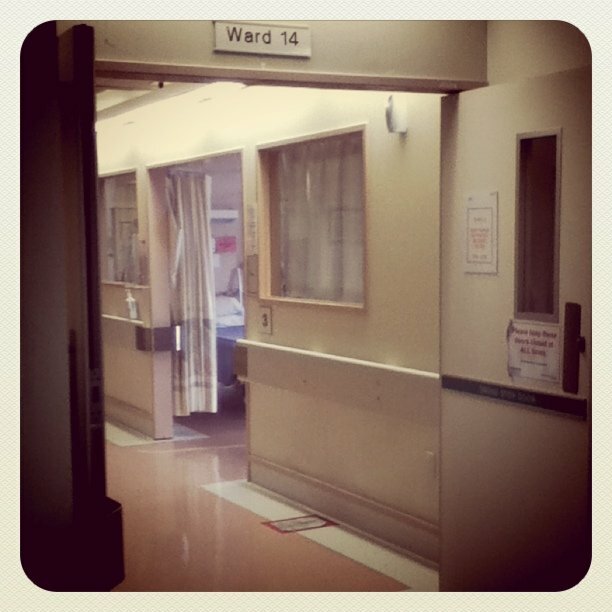 Ward 14, Christchurch Hospital, New Zealand – the place where everything started. Next PostChapter II: Waiting when you don’t know what you’re waiting for.